It has been a challenging Month So far–and it is not even over as I write this!! 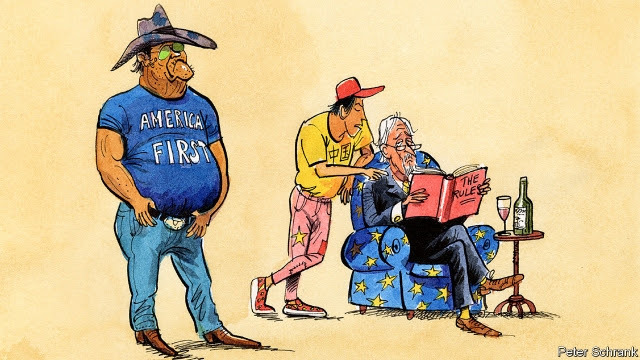 I picked this up that I wonder if the State Department truly understands as the World seeks to go beyond the United States due to the President’s Moves….. Challenging times indeed….as I did want to “book-end” it on this cute note with what I picked up–because I continue to remain optimistic in spite of it all!! What a week it has been!!! As a regular reader of the Gates Notes, you’ve probably noticed how often I write about being an optimist. When I look at the world—especially efforts to improve people’s health and fight poverty—I see that life is getting better. But lately I’ve been watching a trend that concerns me. The number of extremely poor people in the world may stop dropping and might even start going back up. And poverty is becoming much more concentrated: By the middle of this century, 40 percent of people in extreme poverty will live in just two countries, Nigeria and the Democratic Republic of Congo. 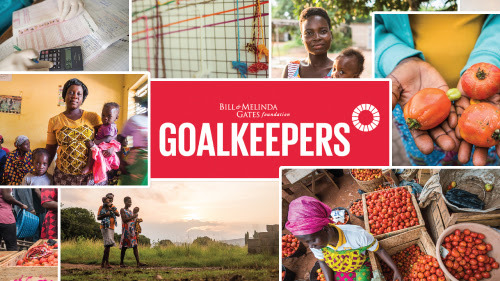 Today, Melinda and I are releasing a new report—Goalkeepers 2018—that explains these challenges and what to do about them. Along with our introduction, there’s an impressive lineup of experts and advocates who contributed inspiring essays on family planning, education, HIV, and agriculture. They write about the data that reveal these big trends, and they tell the stories behind the data. Looking over the finished report, I couldn’t help feeling better about the future—especially if the world invests in creating opportunities for young people. If you read the report, I think you’ll feel the same way. Thanks for being a Gates Notes Insider. You’ve been betrayed by people you trusted and it has shaken you to the core. Time and time again you’ve opened yourself to the risk of trusting, only to be disappointed repeatedly. You’re hurt and bruised; mentally, emotionally, spiritually, and maybe even physically. You question if trust is worth it. You’re trapped in a downward spiral of distrust. Doubt and suspicion permeate your relationships, causing you to keep others at arm’s length. You fall further into states of anxiety, fear, and self-protection, until the only solution you see is to build walls around yourself to keep the pain out. It works. Your walls keep the pain out, but trap the loneliness inside. You question if trust is worth it. You know that life without trust is unfulfilling and you want more. You deserve more. The safety, strength, freedom, joy, and happiness that comes with trust is waiting for you, so you resolve to try again. Baby steps perhaps, but you will start again. You believe that trust is worth it. People have to begin to trust again–whether, in fact, they do is another issue especially in light of this I ran across about Cyber Bullying as I decided to share this resource cyber bullying as I begin a new month here in my own WordPress Corner as the on-going work at hand in the Daily Outsider–some interesting advise in light of the on-going engagement on Twitter by President Trump.. It begins as follows as I wish all the most joyous of weeks , for all in the United States a restful Labor Day Week-End and a great September ahead. I’m on the prowl It has been quite a twenty four hours in our World as President Trump revoked the security clearance of the Former Director of the CIA, John Brennan. The letter was dated July 26!! What Professor Turley noted in his latest write up captures some of the key challenges out there–and yes I am with him that Executive Privilege will ultimately prevail–but the challenge is that this is not Iran and America will be ill-served by Yes-Men —Stephen Colbert also captured it brilliantly as well especially as there was clearly an attempt to change the conversation after a few days of bad press thanks to Omarosa. It has been quite a week in our World–and that’s putting it mildly–and at the Daily Outsider we’ve been “Virtually breathless”. Of course, having a tape of @realDonaldTrump was the “icing” on the cake–I’ll let what Fox is so keen to call it “MainStream Media” run with it–as the rest of the so-called Resistance will continue down its’ efforts–why Donald Trump called for a second summit after the disastrous first summit is something that is just baffling to me–although the Secretary of State seems to support it.